We have California, Florida, & New South Wales specific lobster gauges. 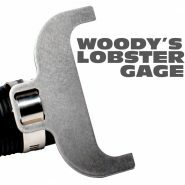 These lobster gauges are easy to use to ensure that your lobster meets the minimum legal size requirement. Made from study stainless steel & can be made hands-free with a lanyard.